A ringing, buzzing, singing, clicking, roaring, annoying sound. It can get so loud that every other sound in the vicinity is drowned out. It can last a few minutes, or hours, or even years. It can be divine retribution, the “Curse of Titus,” after an insect flew into Titus’ nose and picked his brain for seven years. Beethoven complained of the ringing. Charles Darwin recorded the amplitude and frequency of his tinnitus daily. In the mid-1860s, the aural surgeon Joseph Toynbee (1815-1866) began experimenting for a cure for tinnitus. He was plagued with the malady for years and could sympathize with his patients who complained and clamoured for a cure. In Diseases of the Ear (1860), Toynbee described a few case studies in which he devised treatments that included leeching and syringing. None of the cases were successfully cured of tinnitus in the long run. Wanting to help his patients as well as himself, Toynbee conceived an experiment that induced chloroform into the tympanic cavity through a Valsavian maneuver. Chloroform was discovered in the 1830s by three researchers working independently of each other: French scientist Eugène Soubeiran 1797-1859), American physician Samuel Guthrie (1782–1848), and German chemist Justus von Liebig (1803-1873). Shortly after, chloroform’s properties as an anaesthetic was introduced by Scottish obstetrician Sir James Young Simpson (1811-1870) in 1847. Dr. Snow administered ‘that blessed Chloroform’ & the effect was soothing, quieting & delightful beyond measure. For Joseph Toynbee, his experiences with tinnitus as well as his clinical observations suggested that chloroform could aid in relieving the ringing. In the summer of 1866, he conducted an experiment with chloroform and hydrocyanic acid, using himself as the test subject. He hypothesized whether the inhalation of vapours could pass through the Eustachian tubes and reach the cavity of the tympanum, effectively treating the tinnitus. 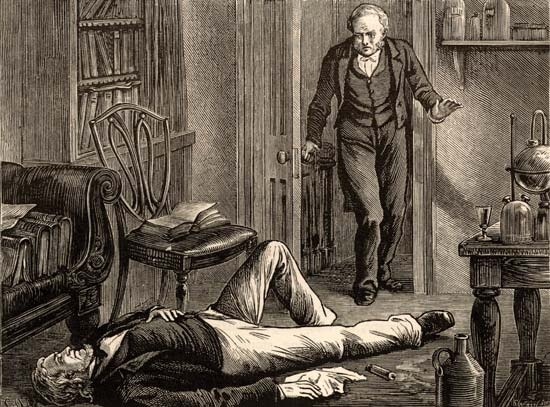 On Saturday July 7, 1866, Toynbee’s servant George Power found his master in his office dead. A piece of cotton-wool was placed over Toynbee’s nose and mouth. The room smelt strongly of chloroform and on a chair besides the couch, there was a watch, empty bottles, and two papers with handwritten notes: “The effect of inhalation of the vapour of chloroform for singing in the ears, so as to be forced to the tympanum, either by being taken in by the breath through a towel or a sponge, producing a beneficial sensation or warmth,” and “The effect of chloroform combined with “hydocyanic acid.”” The combination of chloroform and acid proved fatal. 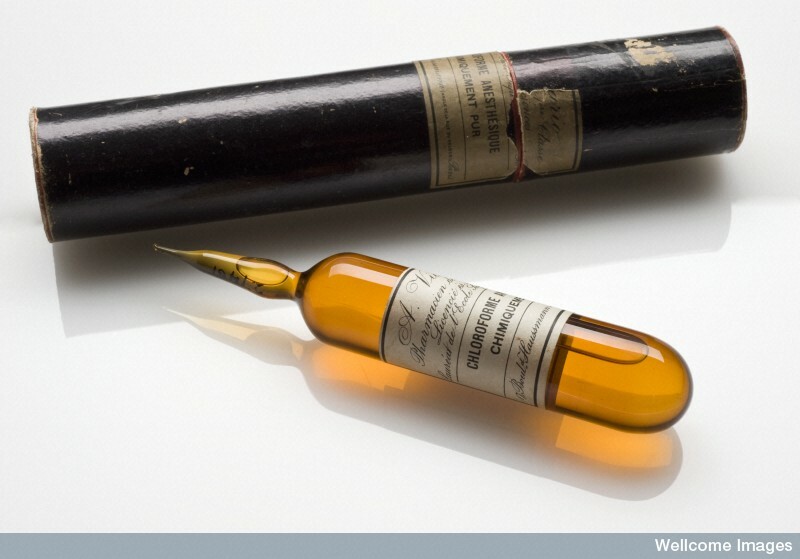 Royal Collection Trust, “Queen Victoria receives chloroform at the birth of Prince Leopold,” 22 April 1853. “Fatal Experiments by a Physician,” The Times (Thursday 12 July 1866): 9.